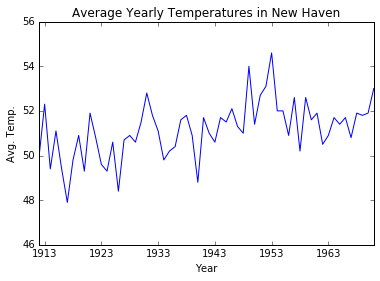 This post is mostly just a refresher course for myself in how to perform basic statistics in Python. 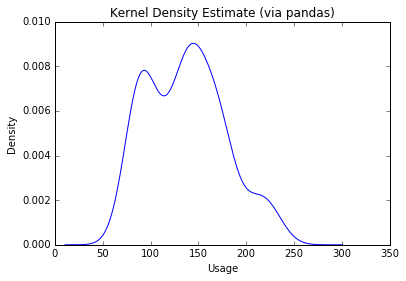 Also, I’m currently playing around with pandas, which is pretty much awesome for data analysis. 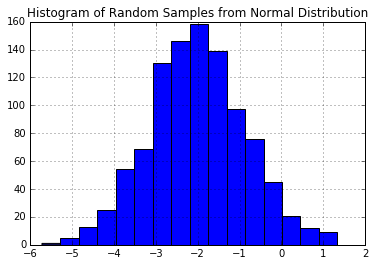 We’ve got to start somewhere, so why not start with the theoretical basics: random variables, means, variances, and correlation. 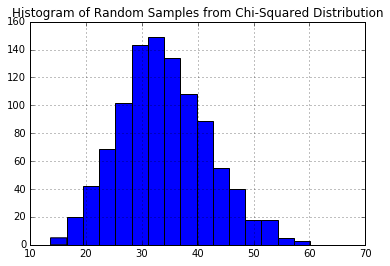 Doing statistical work in Python is very easy, assuming you know which tools to use. Of course, there are dozens of excellent Python packages to choose from. 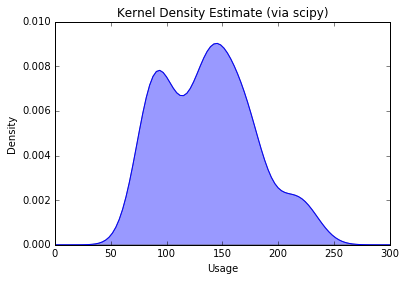 At a minimum you’ll want to have NumPy, SciPy, matplotlib, and pandas available. 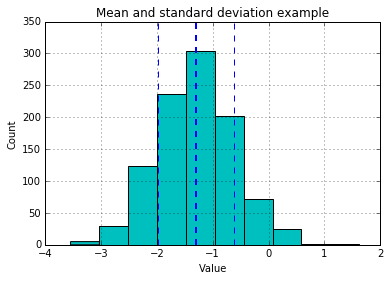 Let’s do some basic mean and standard deviation calculations. 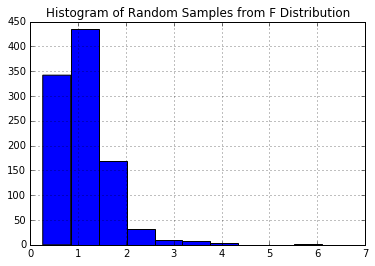 Many times it is necessary to generate random numbers according to a particular distribution function. 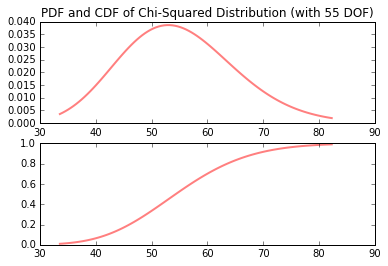 SciPy and NumPy make this easy. 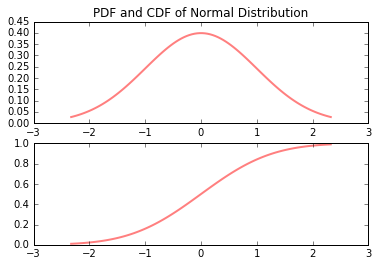 The following demonstrates how to generate PDF’s, CDF’s, and random numbers on normal, chi-squared, Student’s t, and F distributions. 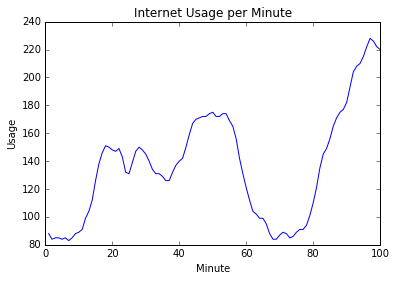 Now that we’ve covered the basics, let’s get started talking about time series. 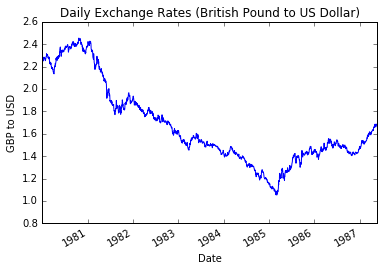 A time series is an ordered sequence of observations, sometimes called a signal. The ordering is normally through time, particularly in terms of equally spaced time intervals. Here are some examples (original source data found at vincentarelbundock.github.io/Rdatasets). 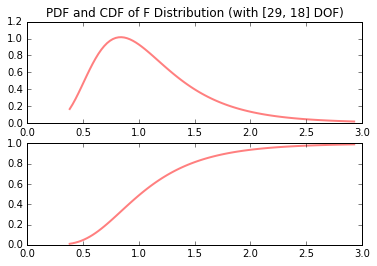 Given a data set, how do you to which particular distribution function is belows? Well, that can be a tough one. 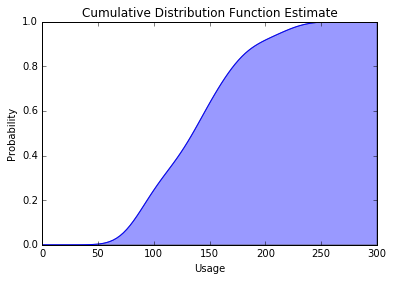 Fortunately, SciPy can generate an estimate for you, which you can then plot and visualize. First, I’ll show the pandas shortcut method (single line of code). 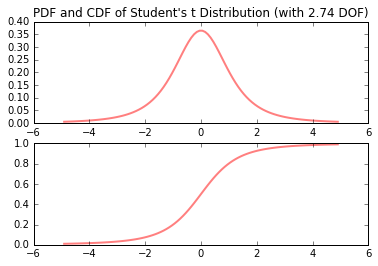 Following that is the more robust, SciPy method (more control). That’s it for now. I’ve covered: some very basic math theory; how to calculate mean, covariance, etc. 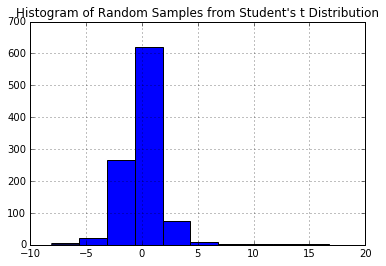 ; how to generate random numbers; how to visualize densities and distributions; and a little bit on time series.